What is Easebuzz and How it Works? If you are living in the year 2017, there’s no chance that you haven’t heard of a little something called ‘payment links’. And if you haven’t, well, now you have! What exactly is a Payment Link? In simple words, a payment link is a url. But this ordinary looking url can perform wonderful functions for you. Unlike normal url’s, a payment link is a request for payment that can be easily shared over various social media platforms as well as e-mail/message. Payment Links are primarily used to collect payments from people without the hassle of bank account number, bank documents or any other sign ups/registrations or fees. 1. Payment Request: To request your customer/friend to send you the requested amount directly. 2. Product Link: A product link allows your customers to see your product along with its details and purchase it. Now that we have a basic understanding of what a payment link is, lets get some clarity on what Easebuzz is ? Easebuzz is the best software platform for running an online business. We handle millions of transactions every year for growing businesses across India. Simply put, Easebuzz in a one-stop solution for all payment and gateway related services and issues a client may face! With a dedicated team working round the clock, Easebuzz strives to deliver the best a customer can get in today’s market. 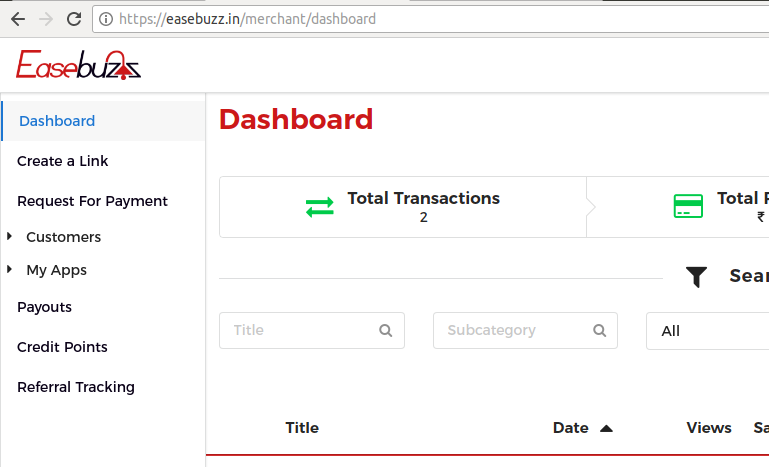 How to get started with Payment Links on Easebuzz? In order to use payment links via Easebuzz, all you have to do is complete a one-time registration with Easebuzz and you are good to go! 1. The front page of your bank statement, cheque book or PassBook. The enitre registration process takes less than 5 minutes to complete and if you need assistance, you can always contact our team for guidance. Do you know what’s better than the short registration time? The process is absolutely free! Easebuzz does not charge a registration fee; your billing begins with your first transaction and you are charged for transactions only! No monthly/annual charges apply. It takes Easebuzz a maximum of 48 hrs for verifying your documents. YOU ARE NOW READY TO CREATE PAYMENT LINKS! 1. 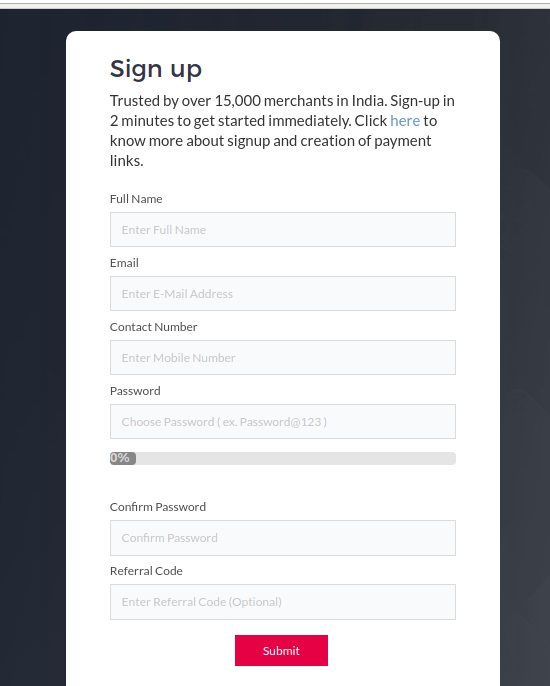 Sign in to your Easebuzz Merchant Account (the one we just created). Apart from the normal site, you will now be able to see your own very Dashboard! 3. Select the product type of the item you wish to showcase to your customers. 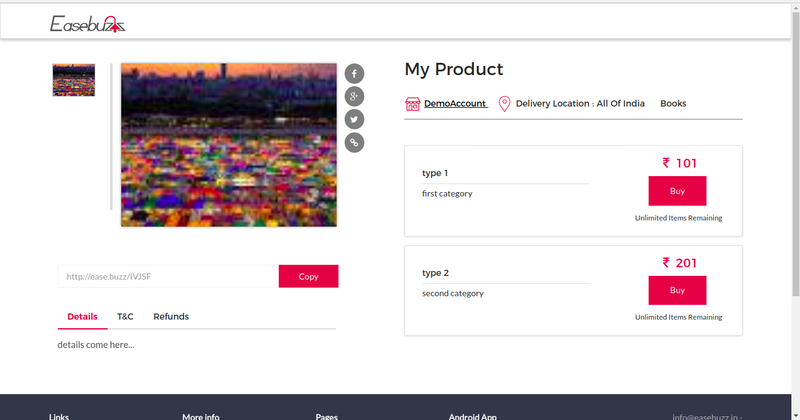 Fill in the fields step by step and dont forget to add images of your product. 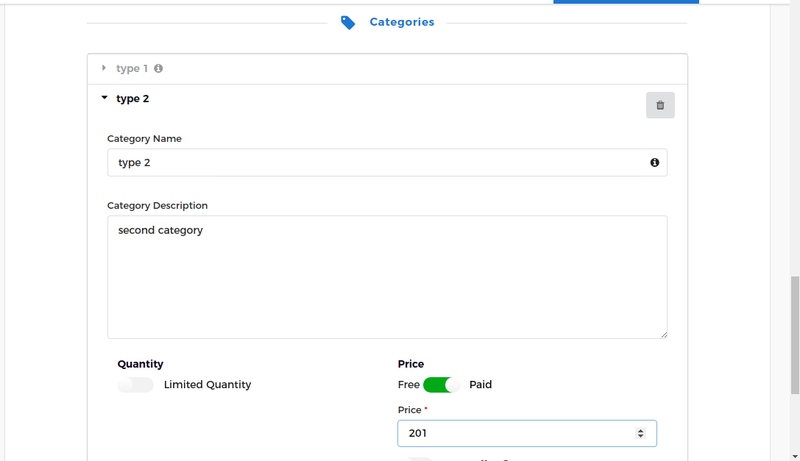 NOTE: The category field allows you to add variations in the same product without having to create a product link for it separately. If you observe closely, below your product’s image, you can see a Grey url and a copy button. This url is your product link! Click on the copy button to copy your url and then you can share it with anyone via any medium you choose. 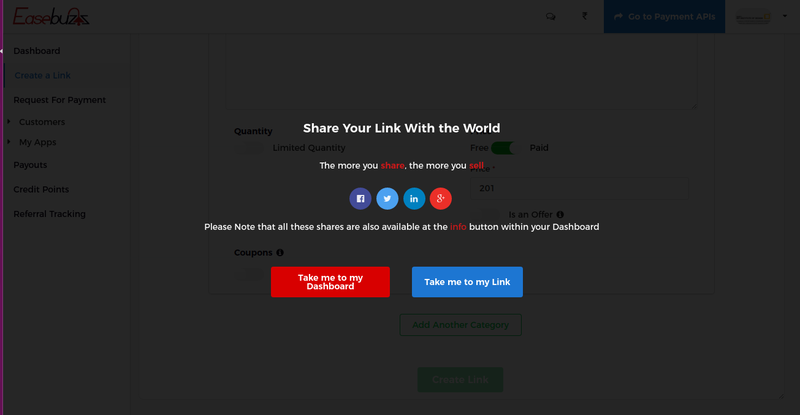 Easebuzz allows you create multiple product links. All product links appear on your Easebuzz store and your Dashboard. You can edit/delete products from your dashboard. 5. STORE URL: Once you have built a decent sized product base on your store, Easebuzz allows you to share your own Product Store url instead of sharing indivdual product urls. A merchant can simply share his/her store url to enable customers to see all the products uder one unified roof, i.e., the Easebuzz store! To get the store url, click on “My Apps” in left hand side menu and then select “Manage Stores”. Here you will be able to tweak your store’s view as well as get access to the store url. Why Use Easebuzz and Payment Links? 1. Quick and easy to set up and use. 3. You have more than 100+ payment options to give to your customers. We have 10+ wallets and 80+ netbanking options along with UPI, Debit and credit Cards. 4. Create an online presence for your business without the hassle of building a website. 5. Get all your products under one roof. 6. 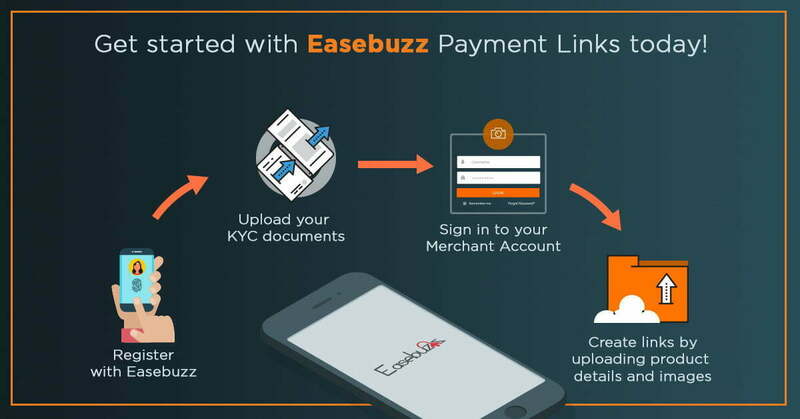 Make use of Eazebuzz’s very own robust and secure gateway to receive payments from your customers!